Back when I read Slammed, I instantly fell in love with Lakyn and Will’s story. Actually, that’s pretty much the case with all of Colleen’s characters. Her books are insta-buys for me and I love them. That said, I drug my feet on getting this one….majorly. I think part was that I didn’t want the story to be over. Also, same story, different point of view, tends to get repetitive…that’s never the case with her books! I always want more! 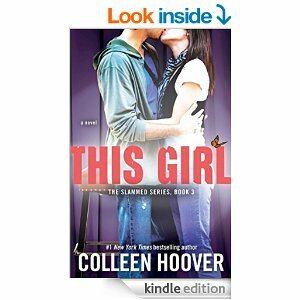 With that said, This Girl is a necessity if you have read Slammed and Point of Retreat. It was refreshing to hear Will’s side of things and know what was going on in his head during the book. The extraordinary #1 New York Times bestseller that has captivated over 1 million readers now also includes the bestselling short story The Julian Chapter. I’m back I’m back I’m back! I hit a lull in my reading habits, but I’m back in full force all of a sudden. 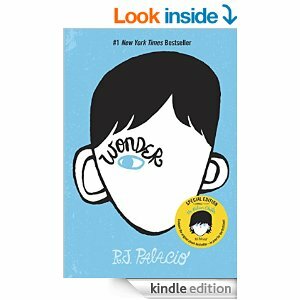 It took me ages to finally get around to reading Wonder. I wish that I’d read it sooner because it absolutely lived up to the hype. I don’t frequently read Middle Grade books, but this one was definitely worthy of reading. As a middle school librarian, I can see why teachers have been using this book in classrooms and promoting it like crazy. I GET Auggie. I know of a student who constantly gets made of because of appearance, but yet, that same student has no trouble keeping friends once others try to know him. Granted, this kid is nothing like Auggie’s situation, but it shows me how cruel students can be. I’m thankful for those like Summer and Jack who choose to be friends due to inward appearance instead of outside. Everyone needs to be that way. Wonder is beautiful. Just beautiful. I suggest it to students, teachers, teenagers, adults…EVERYONE. Everyone has something to learn from Auggie and his view on the world. Also, Auggie is right—Everyone deserves a standing ovation at least once in life!